Attorneys for a border-based humanitarian aid volunteer facing two decades in prison are calling for the removal of the magistrate judge in the case after learning that the judge engaged in secret communications with Trump administration prosecutors, leading the veteran jurist to walk back a critical order in the high-profile case. On Wednesday, lawyers for Scott Warren, a resident of Ajo, Arizona, facing federal felony charges for providing aid to undocumented migrants, said Bernardo Velasco, a magistrate judge at the U.S. District Court for the District of Arizona, pared back an order he issued in November calling for the release of communications sent to Border Patrol agents responsible for Warren’s arrest after engaging in unacceptable conversations with government attorneys prosecuting the case. “This court should withdraw the referral of pretrial matters in this case to the magistrate judge,” the lawyers wrote, urging Velasco’s boss, District Judge Raner Collins, to take over all pretrial matters going forward. Hours after the motion was filed Wednesday, a hearing before Collins was scheduled for early January to consider the motion, while another judge overseeing pretrial motions related to humanitarian volunteers in Arizona removed himself from the cases after defense attorneys raised similar concerns of improper communications. The U.S. Attorney’s Office in Phoenix and Velasco’s office in Tucson declined to comment on the matter. With a trial scheduled for early 2019, Warren’s case comes at time of soaring tensions over the Trump administration’s ongoing border crackdown. Should the government succeed in prosecuting Warren, it would likely send a chilling message to those working to address the crisis of death and disappearance in the borderlands, where a minimum of 8,000 people have died crossing north over the last decade and a half. Warren was arrested on January 17, 2018, in Ajo, an unincorporated community located some 40 miles north of Mexico, in one of the Western Hemisphere’s deadliest stretches for migrants traveling on foot. 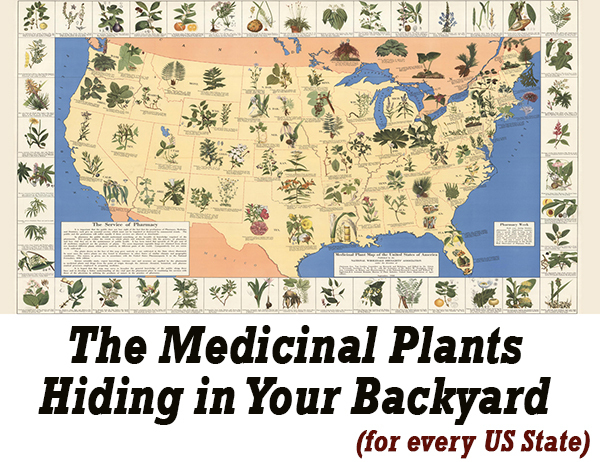 The then-35-year-old college instructor, with a Ph.D in geography, was at a property known as “the Barn,” which has long been used by humanitarian groups who scour the desert, leaving water jugs on migrant trails, providing medical aid to those in distress, and reporting the recovery of human remains. Also on the property that day were two undocumented men from Central America who had crossed the border three days earlier, having spent multiple days and freezing January nights in the desert. When Border Patrol agents descended on the property, they took all three men into custody. Accused of providing the migrants with food, water, and a place to sleep over three days, Warren was indicted by a grand jury in February on two federal felony counts of harboring and one count of conspiracy. If convicted and sentenced to consecutive terms, he could face up to 20 years in prison. 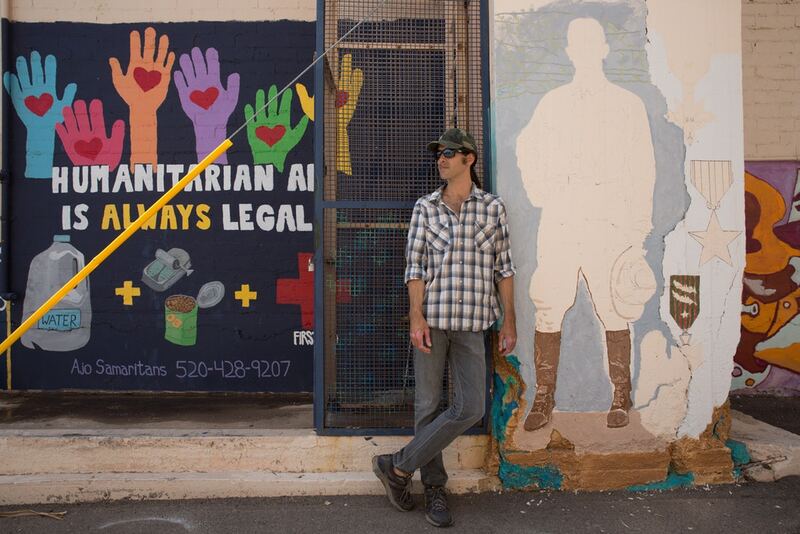 Scott Warren stands next to a community mural project created by the Ajo Samaritans, one of the humanitarian aid groups he works with in the region. From the outset, the timing of Warren’s arrest raised questions in southern Arizona’s humanitarian aid community. Just hours before he was handcuffed, one of the groups Warren volunteers with, the faith-based organization known as No More Deaths, released a damning report and video evidence implicating the Border Patrol in the systematic destruction of thousands of jugs of water left for migrants crossing the desert. No More Deaths has been at the center of a broader Trump administration crackdown on humanitarian aid work in southern Arizona. In addition to the felony case, Warren is one of nine volunteers with the organization to be hit with federal misdemeanor charges for their work on the Cabeza Prieta National Wildlife Refuge outside Ajo over the last year, including for leaving water in the desert, which the government describes as littering. At a pretrial hearing in October, Warren’s attorneys questioned whether his felony arrest might have had something to do with the publication of No More Deaths’ report on the Border Patrol’s destruction of water jugs and called for the release of various types of discovery to determine whether that was the case. In a motion filed the following day, citing an email obtained by The Intercept — which showed that the Border Patrol agent in charge of the Ajo station was in fact circulating the No More Deaths report hours before taking Warren into custody — the defense team again pushed for broader disclosure of Border Patrol communications. On November 7, Velasco ordered the government to produce all communications sent to the two Border Patrol agents who led the operation, from the time they clocked in until the time they clocked out. For Warren’s defense team, it seemed like a victory in case that has been marked with fights over the disclosure of pretrial evidence. But according to Wednesday’s filing, the success was short-lived. In a separate development indicating deeper, behind-the-scenes drama surrounding the No More Deaths cases, Tucson Magistrate Judge Bruce G. MacDonald filed a notice Wednesday night saying that he was removing himself from the federal misdemeanor cases involving four No More Deaths volunteers after defense attorneys raised concerns about his involvement in the case. After assuring “the parties and attorneys that he has not had any improper communication or contact whatsoever with anyone about this case or any other case,” and adding that he was “disappointed the attorneys would question the integrity of this court,” MacDonald said he would be handing the case over to a colleague: Bernardo Velasco. This is not the first time Velasco has been involved in high-profile case involving No More Deaths volunteers. In the mid-2000s, two college-age volunteers with the organization faced felony harboring charges for driving three sick migrants to a church for medical care. In the run-up to the trial, Velasco batted away one pretrial defense motion after another. But once Collins, the district judge, took over, the case was dismissed. Efforts to prosecute No More Deaths volunteers for leaving water on federal lands similarly ran aground in the 9th Circuit. Whether the current batch of cases will follow a similar path remains to be seen. What’s clear, however, is the Trump administration’s desire to put a stop to the work of organizations like No More Deaths. Last year, former Attorney General Jeff Sessions ordered border prosecutors to prioritize harboring cases, which Warren now stands accused of, while the head of the Border Patrol’s powerful union has publicly denounced the practice of leaving water for migrants in the desert.